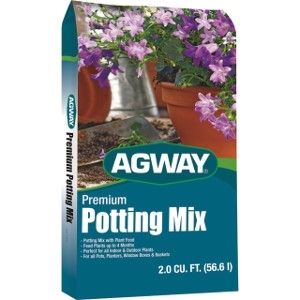 Agway® Premium Potting Mix can be used for all indoor and outdoor plants. It is perfect for use in pots, planters, window boxes and even for hanging baskets! It nourishes plants and supports their growth while feeding plants for 4 months!